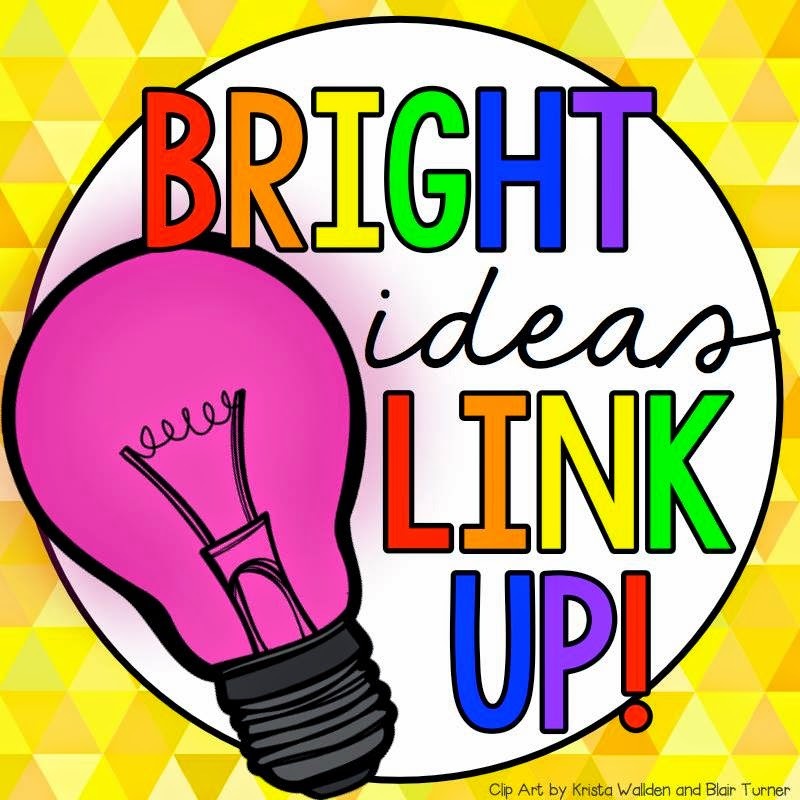 Bright Ideas: Worksheet”less” Task Cards: Saving You Time, Ink and Paper! good ‘ol fashion tips and tricks to help get you through the day. This month is all about task cards again. You can read my previous BI post about to turn task cards into journal pages here. 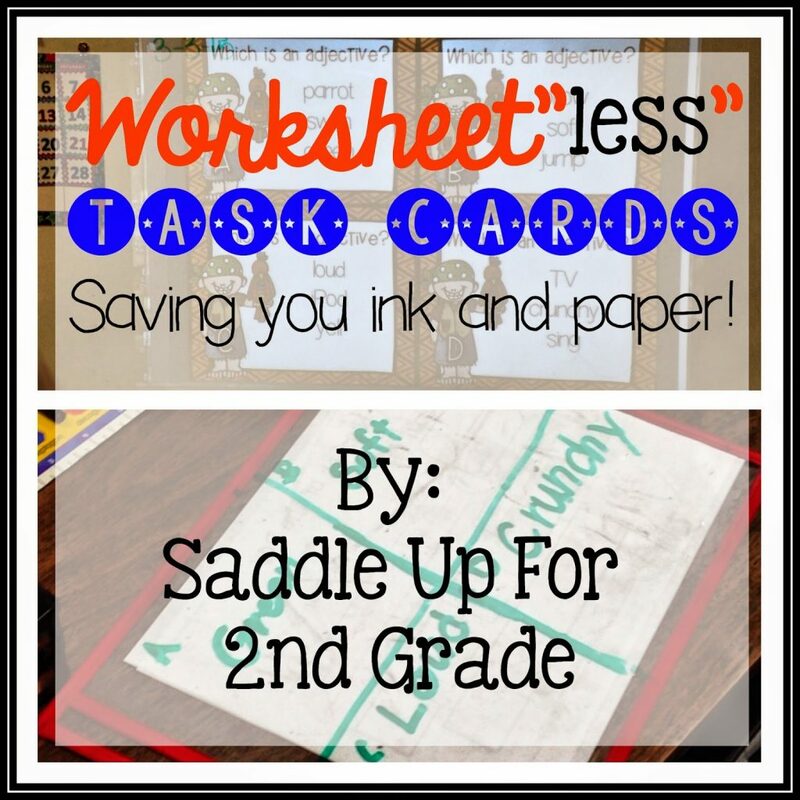 I’m here to let you know about worksheet”less” task cards: saving you some prep time, and that precious ink and paper that all of us teachers use way to much of! If you’ve followed my blog for awhile, then you know that I LOVE, LOVE, LOVE task cards! I use them for everything. 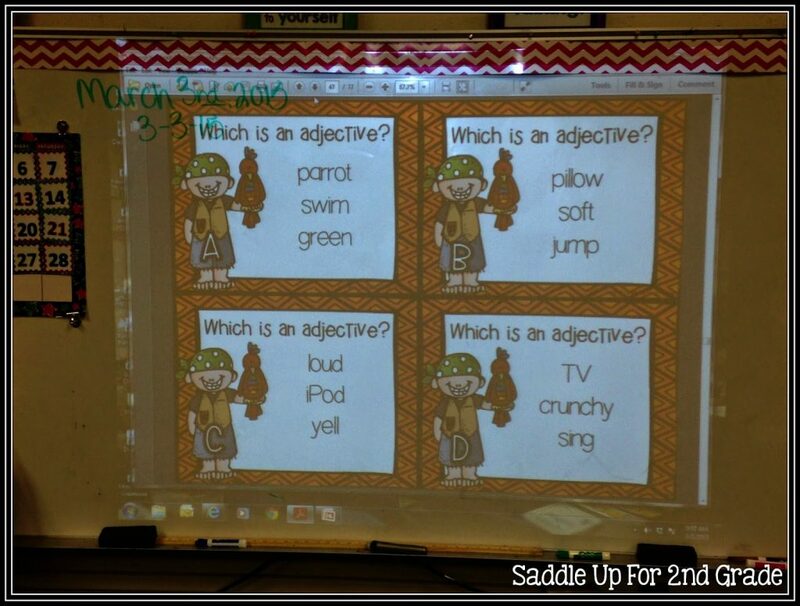 We use them in small groups, centers and whole group instruction. We use them to play scoot and iSpy. 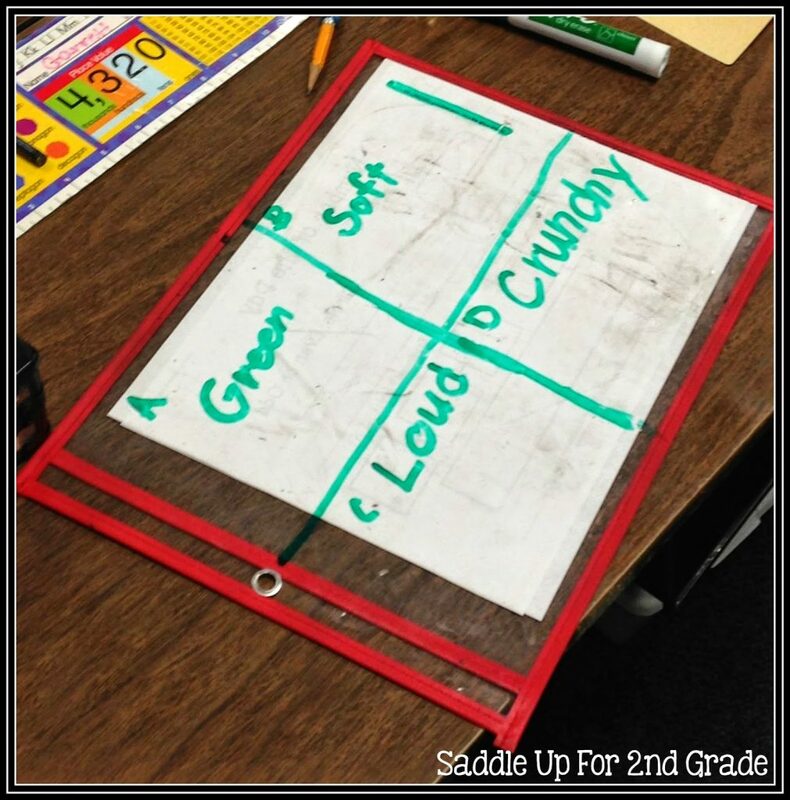 Now we use them for worksheet”less” fun! This year I’ve been all about saving paper and low prep time for me. Instead of running off copies of the answer sheet, we used our plastic sleeves to answer the questions. They divided their sleeve into four parts and labeled each box with the letters displayed on the task cards. They then wrote their answer to each card in the box. I do this at least once a week with various subjects. I can check their answers easily for understanding and there are no papers to turn in or to throw away because you don’t want to “grade” them. The best part of all…NO PREP! Just pull a set of cards up on your computer screen and go. Easy peasy lemon squeezy!